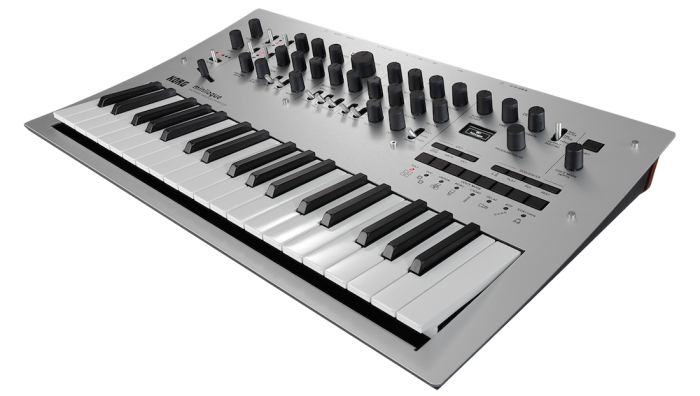 It’s not hard to understand why the Korg Minilogue won “Best In Show” accolades at the 2016 NAMM show. A fully programmable, polyphonic analog synth, with great sounds and features at a great price. How sweet is that? 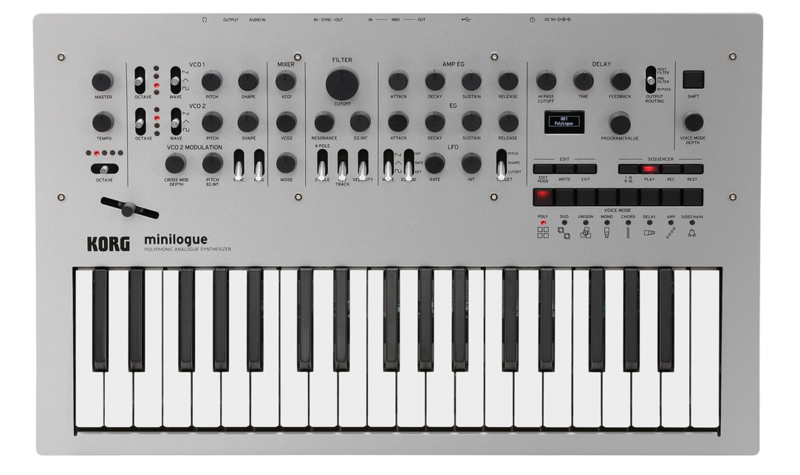 The Minilogue puts it all together, with 4 true-analog voices and an easy-to operate interface. With 2 VCO, 1 VCF, 2 EG, 1 VCA and 1 LFO structure, you can fine tune harmonics and create killer sounds for days. An on-board oscilloscope display shows the waveforms as you build them, giving instant visual feedback and helping you associate waveforms with sounds. 200 preset locations (100 editable factory programs and 100 locations waiting for your next new sound) let you pull up sounds instantly. 8 voice modes let you assign the 4 voices for chords, pads or thick, fat bass tones, or … well, it’s up to your creativity. 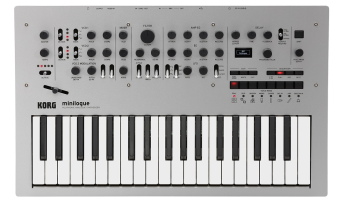 A 16-step sequencer lets you record and overdub phrases. MIDI and USB connectors make it easy to sync with other synths and outboard gear. The Minilogue is versatile, well-laid-out, easy to jump into, generous with storage, and loaded with enough tone-sculpting features to give you a seemingly endless set of true-analog sounds—all at a very low price.